Stokes Croft has suffered from poor planning decisions for decades. Whether it be the sell-off of Turbo Island to an advertising hoardings company in the mid 80’s, or permission granted for demolition of the Lakota (a 19th century former malthouse, now a night club), the proposed demolition of Clockwork, or Planning permission being granted for a Tesco Supermarket against the wishes of almost everybody except Tesco, there is a clear need for local people to work to stop these crimes against Stokes Croft , a designated Conservation Area. 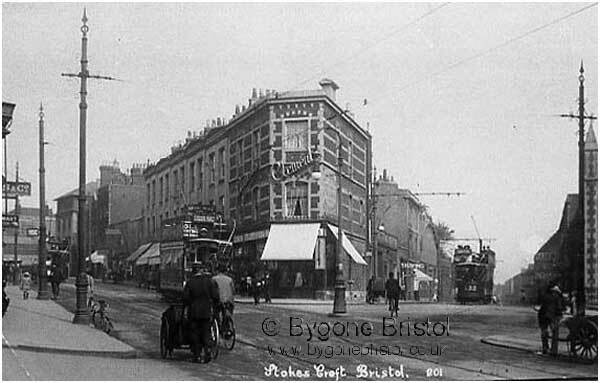 The Building on the corner of City Road and Stokes Croft (Pictured Above) was demolished in the 1970’s as part of a road widening scheme that was never implemented. The gap space has been rented out by Bristol City Council as an advertising hoarding ever since.